Friends of Stevens Creek Trail was honored to name Los Altos native Tom Bornheimer its 2016 Volunteer of the Year. An avid runner, Tom first became acquainted with the Stevens Creek Trail when he ran the 10K race at the Second Annual Trailblazer Race in 1995. "I thought the area was beautiful, and I needed to explore it more," said Tom. He began volunteering and has since then contributed hundreds of hours working creek clean ups, staffing our Art & Wine Festival information tables in Mountain View, Los Altos, Cupertino and Sunnyvale, and speaking at city council meetings. Tom graduated from Los Altos High School, earned an A.A. from Foothill College, his B.A. from University of Hawaii, and his MBA from Golden Gate University. He works in data reporting and analysis for Kaiser Permanente and now lives with his wife Christina in San Francisco. Tom believes in taking local action to make our world a better place. Tom served fifteen years on the Friends of Stevens Creek Trail board of directors. After volunteering with Friends for several years, in 2001 Tom was laid off from his job at Sun Microsystems. He contacted then-executive director Susie Brain and asked about applying for a board seat. "It was good timing as I was not working and could spend time exploring the trail and adjacent neighborhoods," he said. He says the easiest way people can support the Trail is by sending a quick e-mail to our city council members asking them to support completion of the Stevens Creek Trail and Wildlife Corridor. Tom sees the biggest challenges as maintaining community support to encourage the cities to design, fund and construct the remaining sections of the trail. He has a clear vision for completing the Trail and Wildlife Corridor. "Within ten years, I hope to see the trail completed to Mountain View High School, within 15 years completed through Sunnyvale and Cupertino to Stevens Creek County Park, and within 20 years completed to the headwaters in the Santa Cruz Mountains. Being part of a volunteer board of directors is extremely rewarding. I highly encourage anyone to join a board for a cause they believe in." Thank you Tom, and congratulations! Certified math geek Tom came out from the East Coast to get a Ph.D. in math at UC Berkeley, but soon found his services in demand as a computer programmer at a small Silicon Valley company. For six years he split his time between theory classes in Berkeley by day and nitty-gritty coding in Sunnyvale by night. In 1978 he finally finished his degree, and presented a paper which can now be read about on Wikipedia under the heading "Schaefer’s Theorem." He then immersed himself in Silicon Valley, where he worked for the next three decades in the field of electronic design automation. Along the way he settled into a house on Calabazas Creek, where he quietly pursued his interests in foreign language (Mandarin, among others) and math. A constant feature of Tom's life has been his adverseness to rising early. Long dedicated to fitness, he could be found many evenings running at Rancho San Antonio as darkness closed in. Morning races were harder for him, but, encouraged by Diane, he did run our first Trailblazer Race in 1994. Denied the college education her brothers received, Diane left the tiny British Columbia community where she was raised as soon as she finished high school and headed for the big city of Vancouver, where she went to business school and was soon employed as a legal secretary. 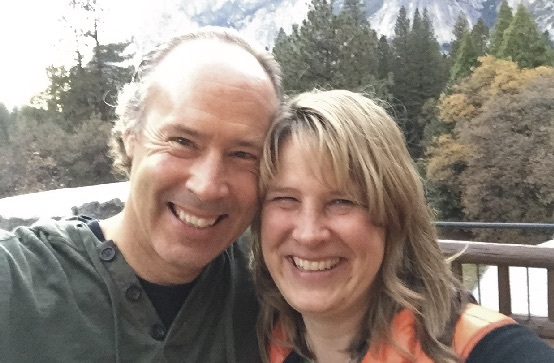 Unlike Tom, she hopped over the years from Vancouver to Hawaii to San Francisco to Colorado Springs to Denver before finally settling in Silicon Valley and becoming a paralegal, and meeting and eventually marrying Tom. After fifteen high-pressure years with Fenwick & West, she retired and is now happily a school crossing guard with more time for gardening, writing, and their cats. Tom and Diane became "creekies" in 1995 when a notice came from the water district announcing a hearing about a bond issue. Perusing the fine print, Tom noticed that one of the projects to be funded was flood control work on the section of creek behind their house. Alarmed by the prospect that this tree-lined section of creek might be bulldozed and hardscaped, Tom produced a flyer and distributed it to 300 houses up and down the creek, resulting in an overflow crowd of concerned neighbors at the hearing. Perhaps in part owing to this show of activism, the water district withdrew the proposal, and went through an environmental awakening over the next years. A group of Tom and Diane's neighbors continued to meet and learn about environmental issues on their creek. The bond measure, which finally appeared on the ballot in 2000, was opposed by this group, but passed by a slim margin. Fortunately, the resulting projects focused on needed repairs and left the creek channel untouched. Soon thereafter, Diane became involved with the Friends of Stevens Creek Trail, where she started volunteering very faithfully, year after year, registering participants at our annual Trailblazer Race. Thanks to her, Fenwick & West has been a faithful sponsor of the race. On occasion she also persuaded Tom to rise early and help out. Tom has, however, been a regular and eager volunteer on the afternoon shift staffing our information tables at Cupertino events. Diane is now a CERT (Cupertino Emergency Response Team) member and is often nearby at the CERT table. Tom is also a member of Save Our Trails of San Jose, and for them started attending the Stevens Creek Trail Joint Cities Feasibility Study meetings. We have benefited greatly from his detailed reporting of those meetings, and his thoughtful comments. Tom's latest volunteer effort has him on the steering committee for a prostate cancer support group. Thanks very much, Tom and Diane, for all you do for the Friends of Stevens Creek Trail and the community. Ever since the Friends of Stevens Creek Trail was founded in 1993, our graphic artist, Chris Mendible, has been instrumental in developing and executing almost all of our communications and artwork, and much, much more. Chris is a freelance graphic designer and mother of three. In addition to keeping her business Page Creations in motion, she has volunteered hundreds of hours at her kids’ schools, been a Girl Scout leader and attended countless soccer matches, lacrosse games and swim meets. For over twenty years, Chris has been our newsletter designer, editor, photographer and layout chief, critiquing content and making copy suggestions as well. As Chris reports, "Some projects required much communication and coordinating with board members for articles, pictures, etc. Over the years, I have done every aspect of print production from rough articles and ideas to final labeling, proper sorting and delivery to the post office for bulk mailings." Chris has also produced artwork for all of our annual Trailblazer Races including posters, postcards, flyers, T-shirts, banners, and advertising, plus our mailings and award plaques. In recent years, she has been the Trailblazer Race Volunteer Coordinator, finding and then managing literally hundreds of teenage and adult volunteers needed to put on our major fundraiser. "I suppose my biggest contribution to the Friends has been my ability and willingness to jump in where needed, from project research, vendor searches, phone calls, emails, and running errands, whatever it takes, to get a project completed. The scope and detail of any given project varies with the board as each Executive Director and board member brings his/ her own strengths and weaknesses, talent and time constraints. My years of experience working with the organization has helped maintain continuity throughout its continued growth. In the last two decades I have had the pleasure of meeting and working with the Executive Directors and many board members. " As Chris puts it, she has watched the Friends organization grow up just as she has her children. She first started working with us when her oldest was just a baby. She now has three and two are in college! Her husband and three children consider our annual race a family tradition and have quite a collection of T-shirst to prove it! In the beginning a stroller-friendly route was a consideration; now it is who is driving to the race from where. The Friends would not be the respected and infiuential organization it is today without all the great efforts of Chris Mendible over these many years. Congratulations to Chris! Thank you, and keep up the great work! 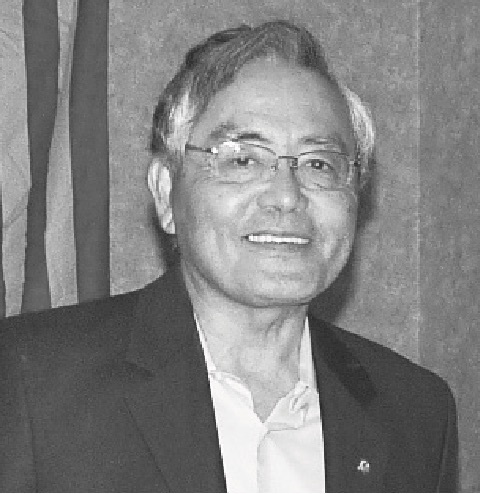 After twenty busy years on our board, Art Takahara decided to step down. From helping founder Rhonda Scherber Farrar get things started at our very beginning in 1992, until early this year, Art worked tirelessly to develop the Friends of Stevens Creek Trail and carry out its mission. Born and raised in Seattle, Art graduated as an electrical engineer from the University of Washington, then moved to Mountain View and worked with Intel and National Semiconductor. Thirty-five years ago he started his own business, De Anza Manufacturing, a contract electronic manufacturing company. He ran it himself until taking a leave of absence last year to care for his wife during her last seven months. His adult kids took over running the business while he was out, and they have since kept the arrangement so that he is now partially retired. Art first served on the Mountain View Planning Commission for three years, and was then elected to the City Council in April 1988 and 1992, the first Asian council member and then mayor. For years he had talked with his friend Tony Look about how to create a public trail along Stevens Creek. Rhonda and Art realized a community organization was needed to be a voice for the trail, and that as mayor he could help it along, so they collaborated on starting the Friends in 1992. Art was instrumental in making the trail the number one Parks & Rec priority, and then a top city council priority as well. It took a while to get the necessary support from county, state, and federal politicians and California Transportation Commission, but Art's efforts paid off in strong support when it came time to secure funding. It was a busy city council in 1992 under Art's leadership. Besides developing the first trail feasibility study and plans, Mountain View built Reaches 1 and 2, won the Light Rail route, closed Moffett Airfield, opened the new city hall complex, and renovated downtown. Art is very proud of how, when controversy over the Mountain View Sleeper segment threatened trail progress, the Friends took a leadership role to organize support and help resolve key issues. He also takes pride in the Friend's involvement in the ongoing work to get the upstream communities involved. As the Mountain View trail sections began approaching the Sunnyvale and Los Altos borders, Art knew that we could not just say, "you guys take over." He realized that a consortium was needed to make it work and move ahead, and he helped start the Four Cities joint planning team created to coordinate planning between the four cities involved. He thinks it has good traction now and it's great that all four cities are fully involved to develop the trail. He is also proud of our elementary school education projects in the early days, providing creek coloring books to school kids and getting classes outside and on the creek looking for bugs and plants. Art likes to say, "Children's education is a great thing to bring up when people ask what we do with our money." He likes the new Friends WOW (Watching Our Watershed) project, being developed under a Google grant, and suggests it might be time to complement it with a brochure on the trail and watershed. Art sometimes gets impatient with the apparently slow progress of the trail, but he knows these big projects take time. The Moffett Boulevard over-crossing is something he wanted from the beginning as a safety issue, but could not get included in the original trail plans. He never gave up, and it was eventually completed in 2009. Likewise, the El Camino Real north side trail entrance was finally added on and opened in 2013. Looking back, Art says he met some pretty good people over the years. He is really excited about the current board, which he describes as, "... an unusually strong group of grass-roots members, which makes it easier for me to decide to retire from the board. My original goal was to stay on until Stevens Creek Trail was completely done, from the Bay Trail to the Ridge Trail, but crossing Highway 85 and twenty years is good enough." Even though Mountain View is about 90% finished with its section of trail, Art believes the overall goal should remain a continuous bay to mountains trail. He finds it amazing how many people still don't know about the trail and creek, and reminds us that we need to keep reaching out to them. A fisherman at heart, he is excited to see trout returning to the Cupertino parts of Stevens Creek, thanks to effective creek restoration work both there and further downstream. He notes that it took a whole community to make it happen, and we still have much to do. Art - we thank you for doing so much for so many of us. Thank you! We were very proud to honor Roy Verley as our 2012 Volunteer of the Year. Roy started volunteering with the Friends in 2004 at a Creek Cleanup Day, soon joined the Board of Directors so that he could take an even more active role in extending and completing the trail, and quickly became a key board member. Roy served as the board president for three years, guiding the Friends in expanding our role carefully from being mostly focused on Mountain View to broadly coordinating with all four cities along the creek and increasing those cities’ trail activity in the process. He has worked at many creek cleanups, spent even more hours with our Trailblazer Race doing setup, take down, and shuttling volunteers, and represented us at many other events and in front of councils and commissions. We especially miss his keen journalistic sense when it comes to writing, as he penned and edited many past newsletter articles, annual appeal letters, and our annual report, as well as careful review of our board meeting minutes. Roy has been semi-retired for the past few years, so it is not uncommon to cross paths with him out on the trail as he enjoys cycling whenever the occasion allows. He loves seeing individuals and families exercising together using the trail. When asked if he has advice for other volunteers, he says, “Just do it! There is a reward to be had that is immediate. Volunteering fulfills a basic human need to contribute to the greater good. Find something that appeals to you and get involved!” One thing he loves about working at our creek cleanups along the trail is when people stop by to ask what is going on, then thank us for the work we are doing. It immediately validates the work of the Friends. In 2010, Roy bought a home in Aptos and started spending much of his time working on it, so he could no longer serve as a member of the Board of Directors. Fortunately for us, he accepted our invitation to be one of our first Advisory Board members where his expertise continues to guide our activities as we continue to collaborate with him in our work to extend and enjoy the Stevens Creek Trail. Maya Angelou famously said, “I’ve learned that people will forget what you said, people will forget what you did, but people will never forget how you made them feel.” This year, the Board of Directors of the Friends of Stevens Creek Trail is honored to present the Volunteer of the Year Award to a man who has left a lasting and inspiring impression on every person he ever met. Frederick “Fritz” Stawitcke was a member of the board of the Friends of Stevens Creek Trail since 2009, but an enthusiastic volunteer long before that. In December of 2010, Fritz suddenly and unexpectedly passed away. Coincidentally, he had just been unanimously voted Vice President. Fritz was always passionate about his community, whether it be his Cherryhill Neighborhood involvement in Sunnyvale or his wider involvement with the Friends of Stevens Creek Trail throughout the Silicon Valley. Fritz was first introduced to the organization through Anne Ng. Originally helping out at the annual Trailblazer Race by hauling around props and equipment, Fritz quickly became an indispensable volunteer. His easy-going attitude and eagerness to help with even the least desirable tasks was admired and appreciated by all. As Fritz became a more avid cyclist, he also began to advocate more on behalf of the Friends. On any given weekend, you would find Fritz and his wife Andrea, and sometimes also their daughters Meghan and Darian, taking leisurely bike rides along the trail. Fritz’ enthusiasm for the Friends was contagious, and he often brought along his family to Friends events, such as creek clean-up days or the Trailblazer Race. His wife and daughters have fond memories of helping out at the 2010 Race together as a family. 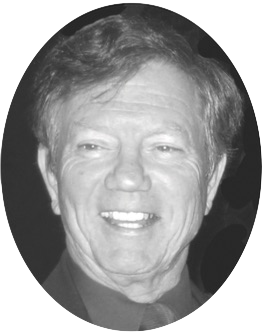 As a board member, Fritz was quick to offer rational and objective opinions; he always strived to present both sides of an issue, and his opinion was valued highly. He was passionate about his city, Sunnyvale, and worked tirelessly to involve not only the people but also the City Council in the furthering of the Friends’ mission. He had friends within City Council with whom he often chatted about the latest developments along the trail, and he was always quick to share a fact or a story about the benefits of developing the trail. Fritz brought his wit, charm, and seemingly boundless energy to every activity he engaged in, and was so much fun to be around. His presence was so positive and strong that it is still hard to believe he is gone. We will miss him deeply and think of him often. Like most other nonprofit organizations, the Friends of Stevens Creek Trail must rely heavily on community volunteers to accomplish much of our work. Every year, someone stands out as the one individual who has made the biggest contribution. 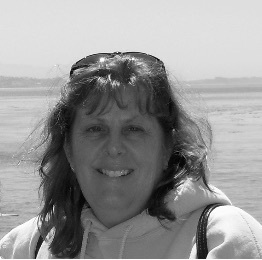 In 2010, that individual was Carol Stanek of Cupertino, our 2010 Volunteer of the Year. As a volunteer, Carol had been tracking Cupertino’s planning and development of the Stevens Creek Trail ever since the decision was made to renovate Blackberry Farm and build the trail through it and McClellan Ranch Park. She frequently came to our board meetings to share the information she had gotten from her many contacts at City Hall, and from her neighbors. She represented her neighbors on Cupertino’s Blackberry Farm Advisory Committee. Her knowledge, insights and personal outreach have been invaluable in building support for the trail and ensuring trail access in her community. Carol lives just west of Stevens Creek and was looking forward to having the trail nearby with direct access to Blackberry Farm from her neighborhood. Cupertino had purchased the recreation facility straddling the creek between McClellan Ranch Park and the Blackberry Farm Golf Course years ago, but continued operating it as its private owners had: completely closed off during its summer season except for fee-paying customers entering from the east. However, the Blackberry Farm grounds were unofficially accessible during the rest of the year to the human powered, including from the west through a gate in the fence along Scenic Circle. Then in 2005 Cupertino locked the gate from Scenic Circle at the request of the residents there, in response to Cupertino’s expansive plans to redo Blackberry Farm and build the Stevens Creek Trail through it, perhaps on their side of the creek. Some residents feared being inundated by park users. Carol was thinking, “The city’s going to build a nice trail along the creek, and we won’t be able to get to it from here?” And she also realized that access through Blackberry Farm from the west could provide a safer route to Kennedy Middle School and Monta Vista High School from her neighborhood, as narrow, winding McClellan Road became ever more congested with motor vehicles during school traffic times, unpleasant for pedestrians and dangerous for cyclists. Within a couple years, Blackberry Farm was sealed off completely when the massive construction project began, relocating and restoring the creek, updating and rehabilitating the Blackberry Farm facilities, and building the Stevens Creek Trail. When it reopened on 4 July 2009 in all its glory, open to the public free year round, Blackberry Farm was newly fenced and still inaccessible from the west. But Carol had already begun her campaign, introducing the issue to the Kennedy and Monta Vista PTAs and to all the City Council candidates over the last few years. She arranged neighborhood meetings for individual council members, and she took them on walking tours. And she kept her growing list of supporters informed of all relevant meetings, so significant numbers sent emails and showed up for Council meetings almost every month this past year. Carol rallied her neighbors and the PTAs to present trail access as a “Safe Routes to School” issue to the City Council. In February, the City Council unanimously overrode its 2005 decision to block access to Blackberry Farm from Scenic Circle. Today, work is underway planning a handicapped-accessible bicycle and pedestrian route into Blackberry Farm from Scenic Circle, with input from the Scenic Circle neighbors. The Friends of Stevens Creek Trail is pleased to recognize our 2009 Volunteer of the Year, Randy Rhody. Randy was honored at the Chamber of Commerce Mountain View’s annual Celebration of Leaders dinner in November 2009. Randy is a long-time trail user and proponent. His passion for the trail began when he lived in Mountain View. As a marathon runner, Randy would get in his car and drive to Shoreline Park to train. One day he “noticed workers laying down some asphalt and got to wondering where it went.” This was his first introduction to the Stevens Creek Trail. He watched Reach 2 and 3 get built and was pleased when he could start his run from his condominium. Randy worked at Lockheed. He cycled to work nearly every day. “It wasn’t a very pleasant ride; as a matter of fact, it was rather intimidating,” he recalls. Although the trail did not assist him in his commute, he was envious of those who could choose to ride on such a safe and pleasant alternative. In 1999 Randy moved to Los Altos. Over five years passed before he ever saw even a mention of the Stevens Creek Trail in the local paper. Then the June 8, 2005 issue of the Los Altos Town Crier ran an article entitled “Stevens Creek Trail a no-go in Los Altos, at least this year.” That article was the start of his trail activism. He committed himself to raising awareness and started a movement to extend the trail into Los Altos. Randy wrote a letter to the editor that caught the eye of Aaron Grossman, the Friends’ Executive Director. Aaron invited Randy to the Friends’ monthly board meetings. He brought great insights and ideas on how to best get the trail onto Los Altos’ plans. Rather than join the board of the Friends, Randy opted to join the Los Altos Bicycle and Pedestrian Advisory Committee (BPAC) so he could work things from the inside. Soon the trail became a top priority for BPAC. With a commitment of $5000 in seed money from the Friends and a “soon to expire” $80,000 grant from the VTA, City Staff and Council were persuaded to fund a Feasibility Study. Equally important, Randy successfully lobbied the Council to commission a citizen advisory task force to actively engage in the study process. He was the first resident to volunteer to serve on this task force. Throughout the two-year study process Randy kept a clear vision of what was possible. He challenged the consultant, city engineer, and other task force members to figure out how to do it. The Los Altos SCT Feasibility Study drew to a close with Council accepting the report October 2008. Jeannie Bruins, task force co-chair, says, “Los Altos could not have made the progress it did without Randy’s drive and determination. He is the behind-the-scenes catalyst that really helps to move things along.” Randy applauds the City of Mountain View for its commitment to the trail, taking a vision and turning it into reality. He is delighted with the formation of the Joint Cities Working Team (Mountain View, Los Altos, Sunnyvale and Cupertino). “This is a major step forward and signals that the Stevens Creek Trail is no longer a one-city effort.” The Friends thanks Randy for helping to bring Los Altos on board. The Friends of Stevens Creek Trail was pleased to recognize Steve Olson as its 2008 Volunteer of the Year. He was honored in November 2008 at Mountain View’s annual Celebration of Leaders gala, hosted by the Chamber of Commerce. Steve joined the Friends of Stevens Creek Trail board of directors in 1999. He served on the board for four years, including two as treasurer, one as vice president, and one as president. Although Steve stepped down from the board in 2004, he continued to regularly volunteer for the Friends of Stevens Creek Trail. Not only did Steve and his family volunteer at trail cleanups, for many years, he coordinated race registration tables at the Friends’ annual Trailblazer Race. This involved making sure hundreds of pre-registered participants received their race bibs and materials on race day, and that hundreds more walk-up participants had a carefree registration experience. Steve works in Budget & Policy Planning at Stanford University. He, his wife Carol, son Chad, and daughter Mira live in Mountain View and use the trail several times a week. Every small, community-based nonprofit must rely heavily on volunteers to get things done. The Friends organization is no different. In our 15-year history, much of what we’ve accomplished has been the work of a small but dedicated band of supporters who have given generously from the heart. In 2007, the Friends recognized a volunteer whose service went back to the beginning of the organization—and had never stopped. If he’s not talking up the trail to city officials and residents or representing the Friends at community meetings, he’s probably leading guided tours of the trail, hauling supplies in his truck or helping with the annual Trailblazer Race. He has served as a board member on two different occasions and helped recruit several other local residents to the board. Tireless and eternally optimistic, he has compiled a wealth of knowledge about the trail’s history and can tell many-a-tale about the challenges of winning community support for its construction, one resident at a time. 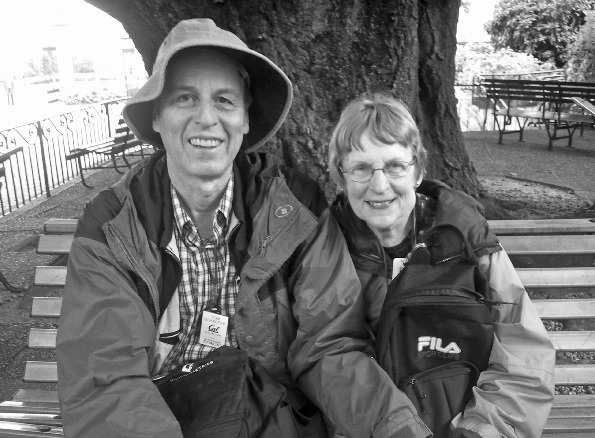 Often at Tom’s side is his equally devoted wife, Jan, herself a former Volunteer of the Year. “Tom and Jan have been a fixture at Friends events for years,” says Verley. “They embody the volunteer spirit in a way that’s rarely seen.” Unfortunately, after 36 years in Mountain View, the Frankums have decided it’s time to move on to the next phase of their “amazing adventure.” They’re moving to San Diego and will soon be immersed, no doubt, in volunteer activities in their new community. We will. The Friends won’t soon forget the many, many contributions that have made Tom Frankum a great friend and our 2007 Volunteer of the Year. Happy Trails! Our 2006 Volunteer of the Year was a big man with a big heart, Ray Meyer III. He also had a big truck, which comes in handy on many occasions when real work needs to be done. The first to volunteer, almost without fail, is Ray Meyer III. Ray served on the Friends board from 1999 through May 2006, including one year each as board secretary and treasurer. Within months of joining the board, he volunteered to “reinvent” and manage the annual Trailblazer Race, our largest annual fundraiser, which was then in its seventh year. He has managed and coordinated race logistics ever since, securing and hauling supplies, organizing set-up and tear-down teams and personally ensuring that everything is in place on race day. His hands-on style and attention to detail always make everything run smoothly. And so are we. Unfortunately, Ray’s growing family responsibilities forced him to leave the board in the spring of 2006. But he promises to be with us again on race day 2006—with his truck—to manage race logistics at least one more year. For that, and for the many years of friendship and hard work, we are very pleased to name Ray Meyer III our 2006 Volunteer of the Year. The Friends of Stevens Creek Trail was pleased to recognize Susie Brain as its 2005 Volunteer of the Year. Susie Brain, who served as executive director from 1999 to 2005, was honored as our 2005 awardee at that November’s Mountain View annual Celebration of Leaders gala, hosted by the Chamber of Commerce. 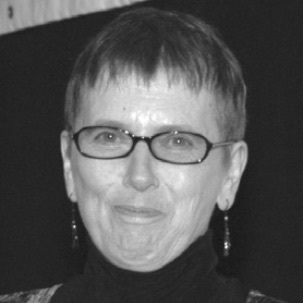 Susie’s tenure as executive director was marked by exceptional leadership, strong management and infectious enthusiasm. She ushered the organization through an extremely difficult economic downturn that rattled Silicon Valley during her first few years. The Friends not only survived the recession but emerged a stronger organization, thanks to her creativity, professionalism, determination and unflappability. Susie has always taken a particular interest in Stevens Creek as a wildlife corridor, not just as a great place for a trail. Though our work focuses primarily on building and maintaining the trail, she continues to remind us of the diverse plant and animal life that thrives in one of the few unspoiled streams remaining in the South Bay. Susie took a medical leave of absence from the Friends in late 2004 and officially resigned her duties in the spring of 2005. Nonetheless, she continues to support the work of the organization she guided so successfully for many years. Her spirit, energy and love of the great outdoors are evident in all that we do. The Friends simply would not be the same organization without her many contributions—and for that, we were extremely proud to recognize our former executive director as 2005 Volunteer of the Year. It isn’t often that a volunteer steps forward and has an immediate and sustained impact on an organization. But that’s exactly what happened when Mountain View resident Davis Fields offered to lend his many talents to the Friends of Stevens Creek Trail. Thousands of local citizens and community leaders now have a much better picture—literally!—of what the Stevens Creek Trail is all about, thanks to the creative and prolific camera work of Mr. Fields. And for that contribution, the Friends named Davis Fields our 2004 Volunteer of the Year at the city’s annual Celebration of Leaders gala, hosted by the Mountain View Chamber of Commerce. Like many other volunteers, Davis became involved with the Friends when he learned the Stevens Creek Trail would be passing through his neighborhood—and might even have an access point within sight of his house. What started out as advocacy with his neighbors for extending the trail soon grew to much more. Today, visitors to www.stevenscreektrail.org can enjoy a wonderful pictorial stroll up and down the existing trail, thanks to the web-based virtual tour Davis created and installed for us. Davis volunteers his creativity and energy to take the photographs, build the web pages, and host and maintain the tour web site, which is also a great resource for related maps and articles. Each September, he also serves as the official photographer for the annual Trailblazer Race and Trail Walk, our major annual fundraiser. This work involves taking hundreds of digital photos, carefully indexing them, and posting them soon after the event so participants can easily find, download and order any images they want. In addition to his work with the Friends, Davis is also a volunteer math and science tutor at Mountain View High School, communications officer for the Silicon Valley Business Exchange, and communications officer and secretary for Bethel Lutheran Church in Cupertino. He and his wife Mary have two teenage boys, Davy and Jim. We can’t thank Davis enough for his tireless work on our behalf. If it’s true that a good picture is worth 1,000 words, we could not say enough to repay him for the countless quality images he’s furnished to us! In November 2003, more than 230 members of the community attended the “Celebration of Leaders” event hosted by the Mountain View Chamber of Commerce. Nine community volunteers were honored at this event including Friends’ long-time volunteer, Jan Frankum. Jan became involved in 1994, helped out at the very first Trailblazer Race and has volunteered at every race since then. For the last two years Jan has excelled in her role as Race Volunteer Coordinator. For weeks she worked calmly and tirelessly, e-mailing and phoning prospective and returning volunteers. She coordinated their race day assignments and most importantly made sure they all had breakfast refreshments before they began their early-morning volunteer shifts. Thanks to Jan’s efforts over 158 volunteers helped out at the 9th Trailblazer Race last year. Jan is also a dedicated Trail Work Day volunteer helping with numerous creek cleanups, landscaping projects, fence painting, etc. Like so many Mountain View citizens and Trail users, Jan has pride in the Trail and is always ready to pick up litter as she walks along it. Jan has been a spokesperson for promoting the Stevens Creek Trail by volunteering at the Friends’ booth at numerous local Art & Wine Art Festivals. One of Jan’s life goals is to see the Stevens Creek Trail completed to the Creek’s headwaters in the Santa Cruz Mountains. She believes with the help of other volunteers, community leaders, and the Friends of Steven Creek Trail organization that this mission can be accomplished. In November 2002, more than 250 members of the community attended the “Celebration of Leaders” event hosted by the Mountain View Chamber of Commerce. Friends of Stevens Creek Trail board members and supporters were in attendance to honor a special Friends’ volunteer, Alan Ross, one of nine very dedicated community volunteers recognized that evening. An avid hiker and outdoor enthusiast, Alan joined the Friends’ organization almost ten years ago when he saw the group was looking for active volunteers. He wanted to become more involved in the community and became a volunteer with the Friends at their very first creek cleanup event in 1993. Since then, Alan has been actively involved in trail and habitat restoration projects including planting native trees and shrubs, trailhead work, and continuing cleanups. Alan has also volunteered at Trailblazer Races since 1995. An extremely dedicated trail advocate, Alan attends public meetings in support of the trail and volunteers in the Friends’ booth at local Art & Wine Festivals. Alan’s volunteer efforts are selfless and sincere. He is always willing to “pitch-in” and tackle whatever task needs to be done, even if it means going knee-deep in mud to remove debris from the creek! Alan, you are indeed a “trailblazer!” and we feel honored to have you as part of our team. The Friends of Stevens Creek Trail began its Volunteer of the Year award in April 2000 thanks to a generous grant from Founder, Rhonda Sherber, establishing a new tradition of honoring one of our hardest working volunteers. It was an easy choice that first year to bestow the award on Scott Harger. Scott had been an active volunteer with the Friends since 1993, just months after the Friends were formed. He had contributed in almost every facet of Friends activities since that time. Scott led many of the Friends initiatives including Trail Workdays, the partnership with the Foundry School and the funding and building of an Amphitheater on the trail in Cupertino, to name just a few. In addition, Scott could always be counted on to pitch in where help was needed on other Friends activities. Scott’s many contributions to the annual Trailblazer Race were instrumental to its ongoing success. There is not a single aspect of the Friends operation that has not benefited from Scott’s support: from furnishing the office, getting donated computer equipment running, putting together the booth for street fairs, writing grant applications, to representing the Friends at key trail conferences, putting his hand to budgets; the list is without end. The Friends honored Scott with the first annual Volunteer of the Year Award, in April of 2000. We are fortunate to have had the benefit of his dedication and passion for the trail the last eight years. Scott was a valued colleague in the creation of the trail and one of the best Friends that the Stevens Creek Trail ever had. He has been sorely missed.